Songkran is soon to be upon us. What that means for all of us is an excess of heat in the weather and lots of water getting splashed around. But most importantly, it is the best time to revisit important aspects and traditions of Thai culture. While Songkran is now mostly known for being a water festival, the water part is only just one aspect of what is actually the Thai new year. During this time of the year, people will make merit with hopes for better days in the new year. They want to revitalize their lives. However, you can also revitalize yourself–more specifically, your stomach–with authentic, unrefined Thai food from these selected restaurants at OneSiam as well. With these places, you will get a touch of Thai cuisine that is sure to please your taste buds and fill you up. This Songkran, indulge yourself at these restaurants, courtesy of OneSiam. The name of this restaurant could imply that it is Greyhound Café’s little brother or younger cousin. The cuisine served here is not that much different from Greyhound’s. There is clearly an influence of Western cuisine on the menu, particularly Italian cuisine. 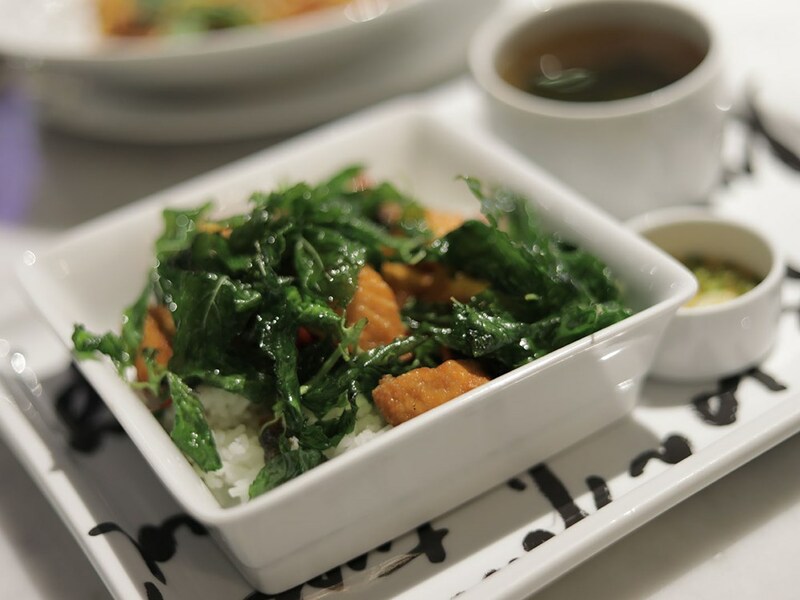 Nevertheless, there is still space on the menu for some premium Thai cuisine at Another Hound Café as well. Some Thai goodies on Another Hound’s menu include the nuea pu pad prik lueang (crab bomb with rice) and the yum kae yang (spicy grilled lamb). So what’s Thai about Bombyx by Jim Thompson? Perhaps the fact that it’s affiliated with the world-renowned silk brand Jim Thompson. 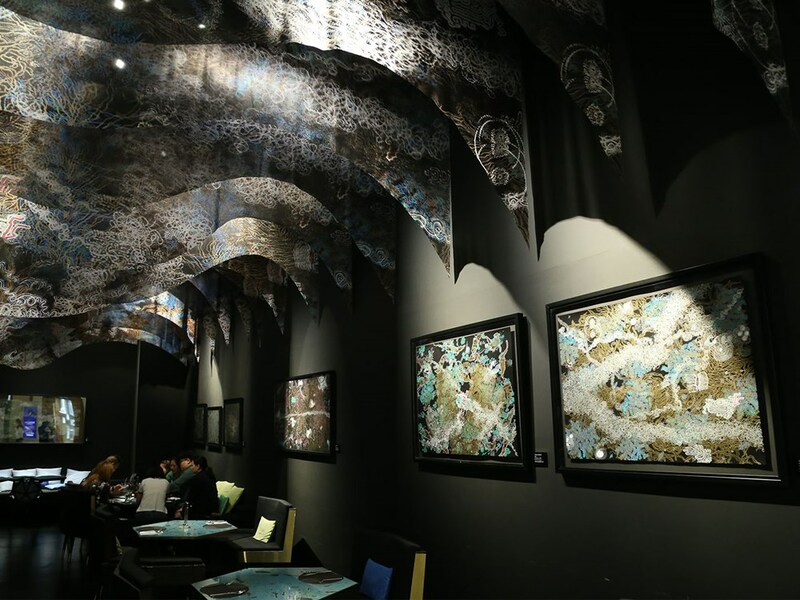 Bombyx by Jim Thompson presents Thai food with their own creative twist. 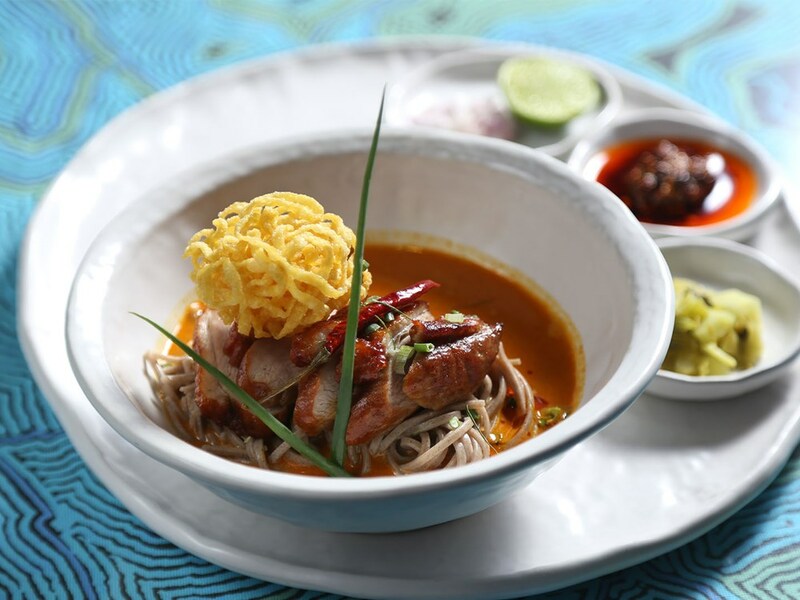 Creative dishes on their menu include the kao soy ped yang sen soba (fried rice noodles with roasted duck and soba noodles) and the pla yang sos saowarot (grilled seabass in passion fruit sauce). It’s a classy kind of Thai cuisine. There is no question that the cuisine presented by Nara stands for all things Thai. How could it not? After all, they have everything like kai jiew (Thai omelette), gai hor bai toey (chicken in pandan leaf), tom yum goong, and phad thai. One could say Nara is the place for you if you’re in search of simple, unrefined Thai food to appease your hunger. However, their signature dish that you most certainly cannot miss out on is perhaps their dessert; more specifically, the Nara’s Coconut Ice Cream. 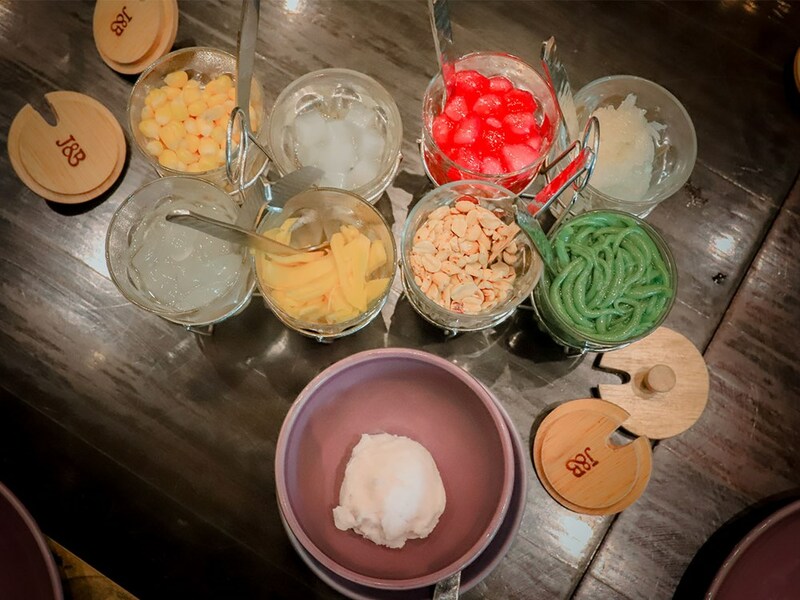 Basically, it’s a scoop of coconut ice cream that comes with a rather huge assortment of Thai sweet condiments. Dress up your ice cream however you like. It’s also the perfect time of the season to enjoy this beloved dessert, given that it is Songkran. Lukkaithong is another one of those restaurants with simple dishes on the menus. There’s nothing at all complicated about them. Also, it’s also one of those restaurants that are popular for gatherings and family get-togethers. More often than not, this restaurant on Siam Paragon’s 4th floor is always packed with people. The food is unrefined and authentic; perfect for family reunions. 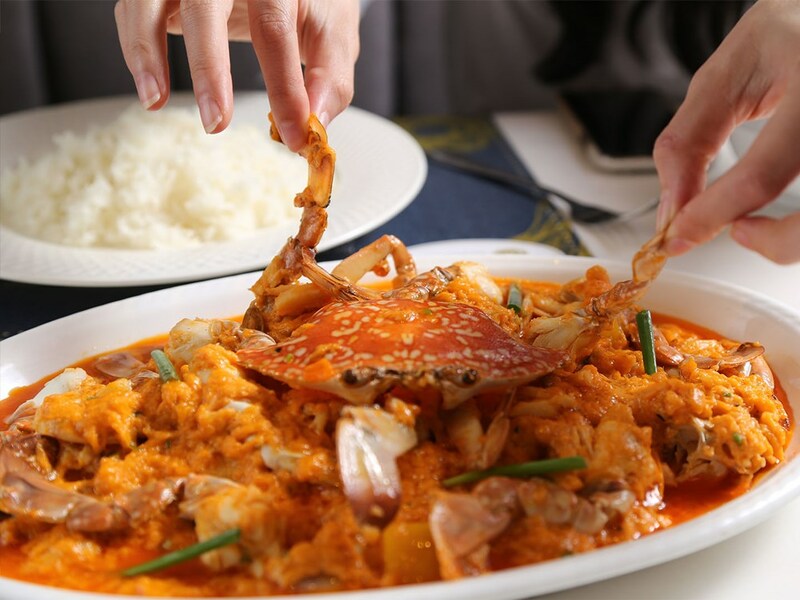 Featured dishes include deep-fried spring rolls and curry crab. If you’re ever clueless as to where to spend Songkran with your family, don’t count out Lukkaithong at Siam Paragon. Known as being a popular destination for huge family get-togethers and celebrations for special occasions–graduations, birthdays, anniversaries–Taling Pling is just one of those restaurants that come to mind when you’re thinking about hosting a big meal for your family members or friends. If you aren’t in the mood to go for a water fight, book a seat at Taling Pling, G Fl, Siam Paragon and enjoy a full-course meal. 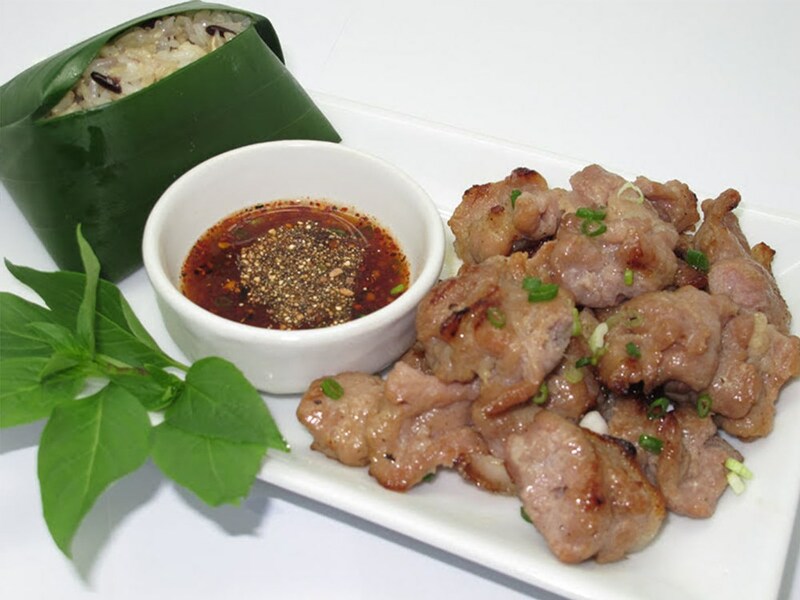 Their popular dishes include the khao kai raberd (exploding egg with rice) and the khao niew moo noom (grilled pork with sticky rice). 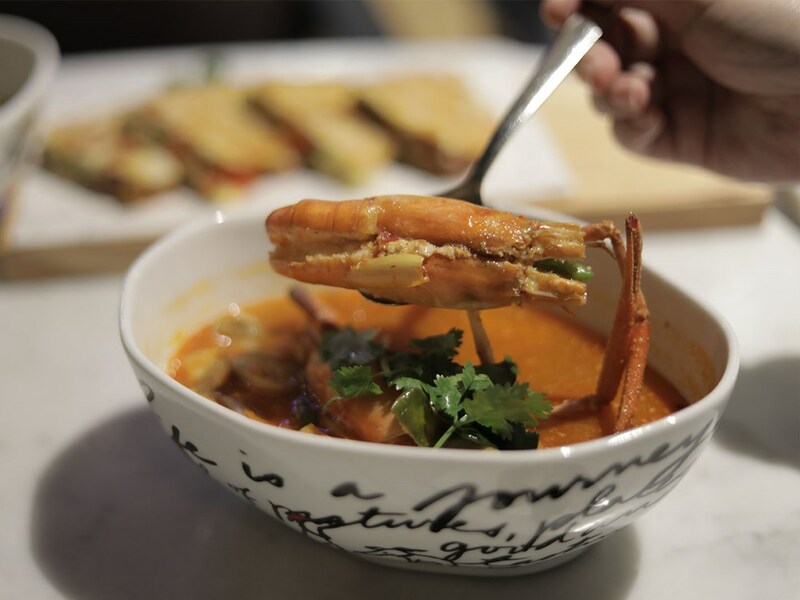 Greyhound Café on Siam Paragon’s G floor may not be a full-blown Thai restaurant with a menu that serves exclusively Thai dishes. But there’s no denying that they do have Thai delights on the menu on those delights are pretty delightful in themselves. Pictured below are the kao kaprao salmon (spicy fried salmon with holy basil on rice) and the kuay tiew tom yum goong (noodle in tom yum koong). Greyhound may be a borderline-fusion restaurant but it sure does serve some pretty great Thai food. 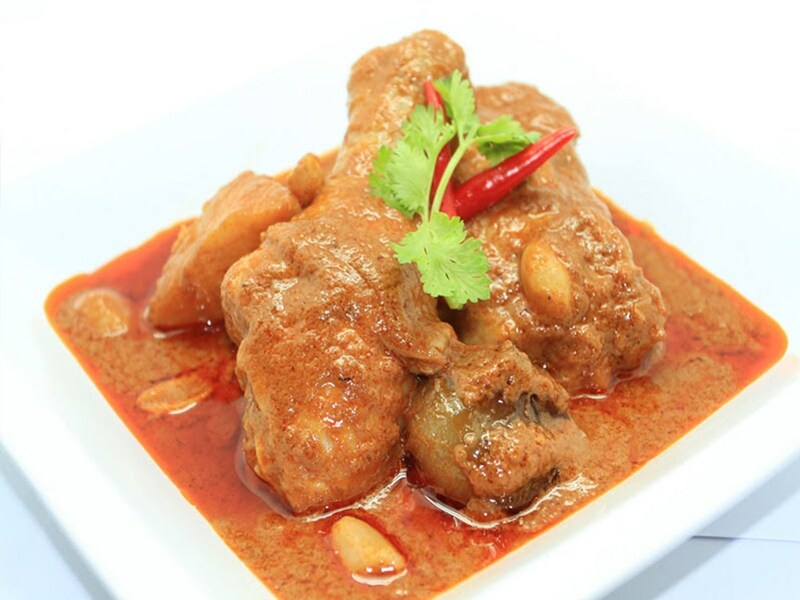 Café Chilli is perhaps the epitome of Northeastern Thai, or Isaan, food at OneSiam. While the restaurant actually originates from Siam Paragon, it has now found itself a place at My Kitchen on the 4th floor of Siam Discovery. 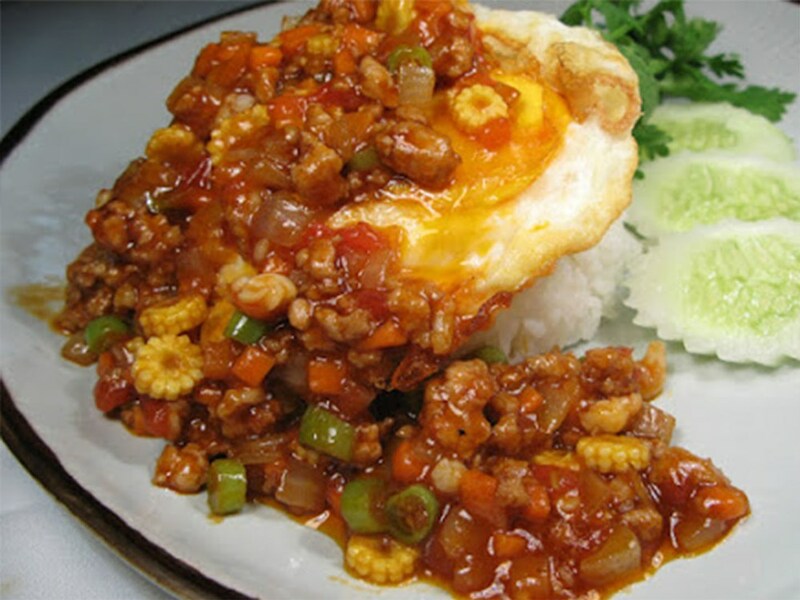 For so long, Café Chilli has been a favorite among both locals and foreigners alike. 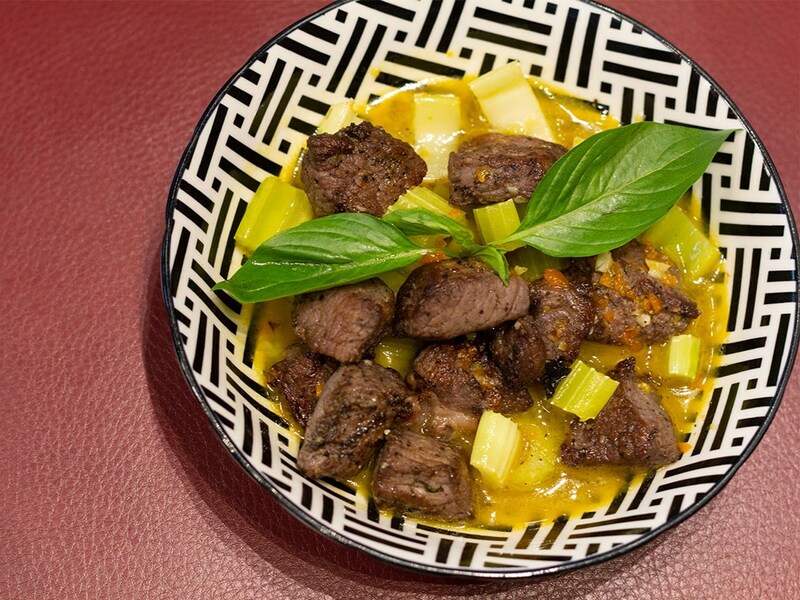 Perhaps this can be attributed to their authentic menu that provides what most would consider to be unrefined Northeastern Thai cuisine that usually consists of Thai papaya salad, grilled chicken and sticky rice. 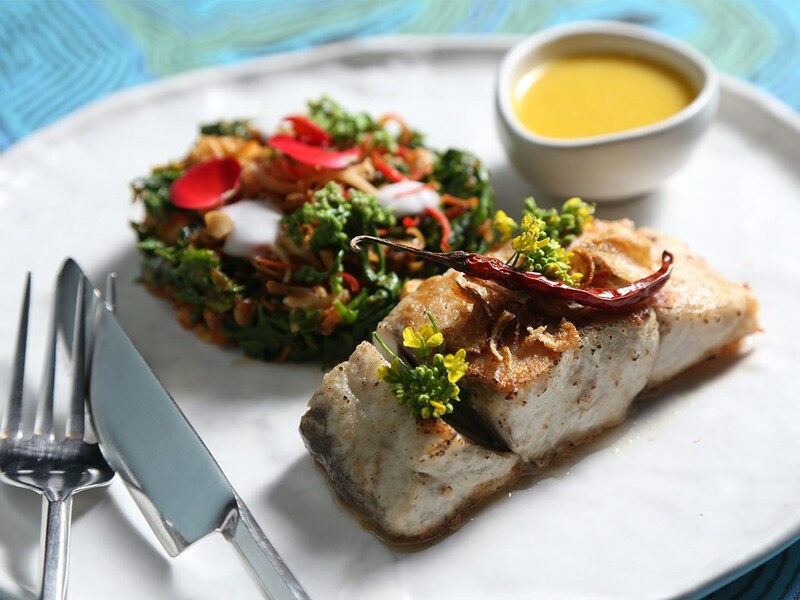 Things you can’t miss from this restaurant include the turmeric grilled chicken and the papaya salad. Want some quality Isaan cuisine? Come by to Café Chilli at My Kitchen, 4th Fl, Siam Discovery. So with that said, don’t go through the Songkran holiday on an empty stomach. Do come by at OneSiam and enjoy some unrefined, authentic Thai food at some of these selected restaurants. You’ll definitely be treating yourself to some quality cuisine.